Nobody likes watching gigs at arenas. You can’t see the band, the tickets are expensive, the queues are huge and more often than not you spend your evening involuntarily staring at a giant screen instead of the stage. 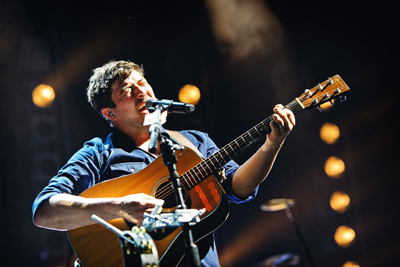 Tour after tour tries it’s best to combat the growing list of complaints and tonight in Birmingham, Mumford & Sons are giving it their best efforts. Out with the gentlemanly waistcoats and in with the grungy denim shirt-jean combo, the freshly transformed British quartet have re-categorised themselves within the rock music genre. 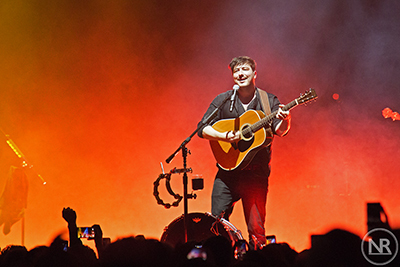 The convincingly celtic rooted folk band Mumford & Sons have stripped back the banjo and string ensemble and opted for electric rock with their 2015 album Wilder Mind. Their new material has been saturated in the clashing of symbols, hard hitting drums, and twangs of electric guitars. "Join us this summer for a series of Gentlemen of the Road Stopovers at handpicked locations around the world. Each Stopover is a day-long event, celebrating the music, food and people of the places we're visiting. We'll be bringing a full lineup of some of our favorite bands from around the world, and curating events that combine a music festival and local gathering into one epic party. We plan to start early, and go late, taking the party from the stage to the town. Please come join us if you can. 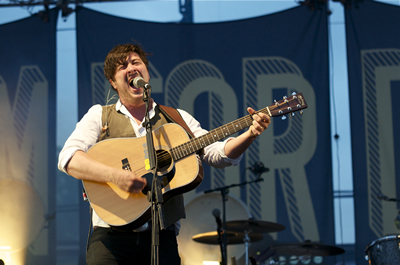 It'll be a whole lot of fun"... stated the Mumford & Sons boys on their official website.